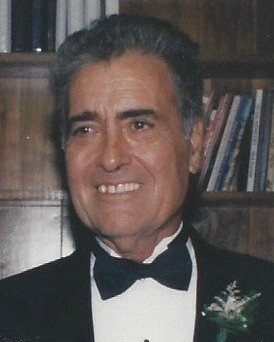 Lorenzo Frank Tait (Herrera Aguilera) left us early Tuesday morning at Retama Manor surrounded by family. Lorenzo was born on July 7, 1932 in Durango, Mexico. He was preceded in death by his biological parents Juan and Fransisca Herrera Aguilera as well as his adopted family Albert and Louis Tait. 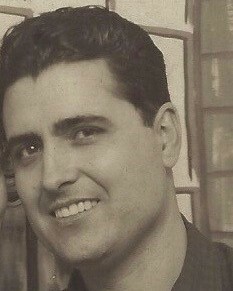 Lorenzo is survived by his wife Maggie Tait, children Michael Tait (Kathie-), Karen Decker (Edward) and Jeffrey Tait (Crystal), brother Ivan Tait, sisters Julia Herrera Perez and Martha Aguilera Nevarez; seven grandchildren and six great-grandchildren. Lorenzo was featured in a recent article describing his amazing journey leaving Mexico at a young age. He was reconnected with his biological family after 68 years by the use of a genetic test. His life was an adventure and full of many life long friends. Lorenzo worked for Delfield Co in both Detroit and Mt Pleasant, MI for over 20 years where he and his children had many of their fondest memories. After leaving there he opened a metal shop in southern Indiana where he built restaurant equipment for the next 23 years. He had the pleasure of meeting and working with some very popular and well-known restauranteurs including Papa Johns and KFC as well as other start up franchises. Lorenzo was very gifted and talented and spoke six different languages. He loved World War ll history and reading The Iliad. When he was relaxing, he spent much of his time playing chess with his friends and family. He will be greatly missed and it was our great pleasure to have called him Dad. We want to thank the loving staff at Retama Manor for caring for him for three years and thank you to the Kindred staff who gave him the gift of hospice. A memorial service will be held in his hometown of Durango where his ashes will be scattered. In lieu of flowers, memorial contributions may be sent to Sunshine Haven whose mission is to provide a peaceful, loving atmosphere where individuals with a terminal diagnosis may pass in quiet dignity. Sunshine Haven operates solely on grants and donations.